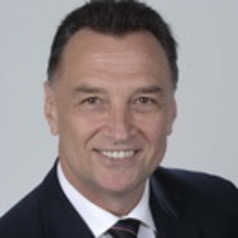 Craig Emerson is Adjunct Professor within the College of Business at Victoria University. He is a former Minister for Trade and Competitiveness and Minister for Tertiary Education, Skills, Science and Research. Craig has also been Minister for Competition Policy and Small Business. He was the architect of the White Paper on Australia in the Asian Century. Craig was Economic and Trade Adviser to Prime Minister Bob Hawke. He was Assistant Secretary in the Department of Prime Minister and Cabinet, Director-General of the Queensland Department of Environment and Heritage and CEO of the South East Queensland Transit Authority. Craig has a PhD from the Australian National University, a Master of Economics degree from the University of Sydney and a Bachelor of Economics (Honours) degree from the University of Sydney. He is Managing Director of economic advisory firm, Craig Emerson Economics Pty Ltd.